Many of us are pinching our pennies these days, so extravagant Christmas decorations aren’t at the top of our shopping lists. Luckily, the economic slump has inspired a creative crafters to create beautiful, simple, and affordable DIY decorations. We’ve gathered up 7 of our favorites to help you celebrate the season. Lisa Storms using border punches to pull out colorful , various length of strips and stapled together end so looks like ornament of different colors. This ornament is courtesy to Kate. Who glam her Christmas with Ornament tree made from marabou feather. She made this ornament using dowel road with marabou feather. I usually avoid complex DIY decorations which are usually time taken and output is also very predictable. This Flirty Stripped Wrath can be made using white and red fabric, few pins, black ribbon and muslin. 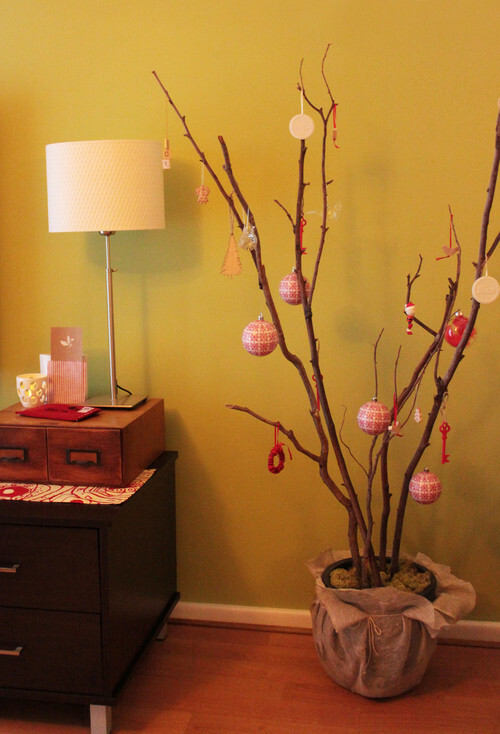 Alicia got into habit of reusing her old decorations and pull out moss filled spot with the help of branches. If you wonder where to hang advent calendar artifects! then Jen Hadfield idea of hand made ladder comes handy. 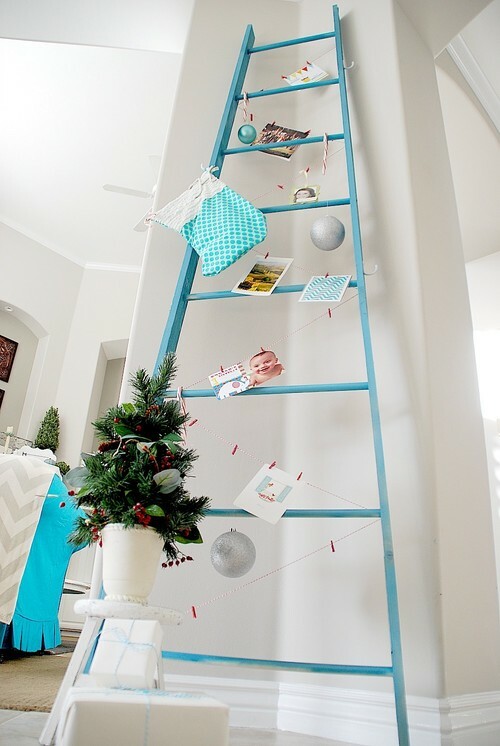 She use DIY ladder and though that its would be unique and festive. 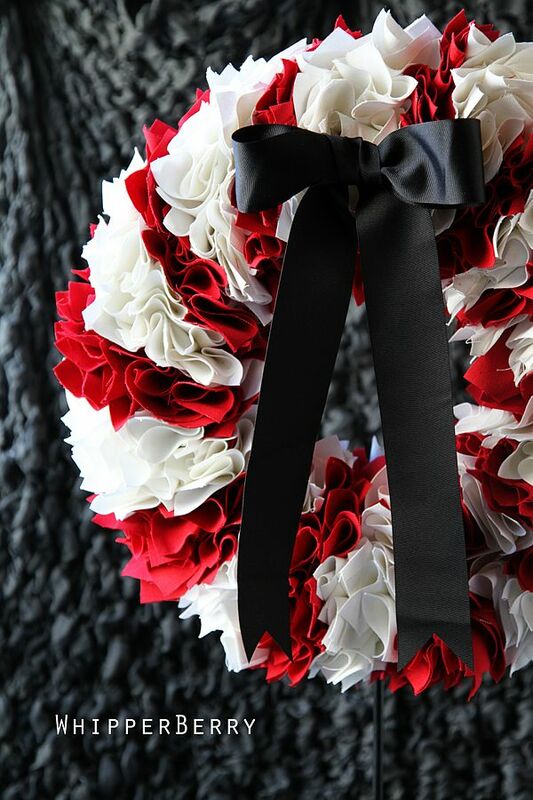 Christie have decided to do something bit different for her family and she was glance with the idea of garland. 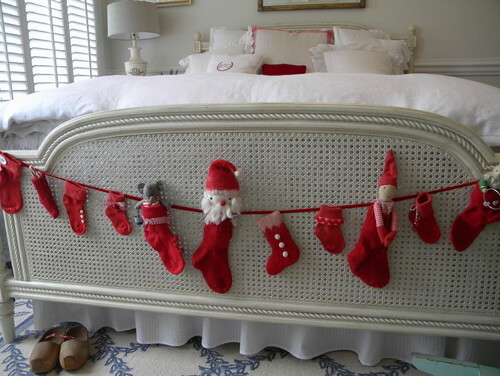 She surprised her daughter by placing garland at the foot of bed. Isn,t it unique interesting and appealing! This is by far my favorite Idea because it is almost zero cost with priceless value. 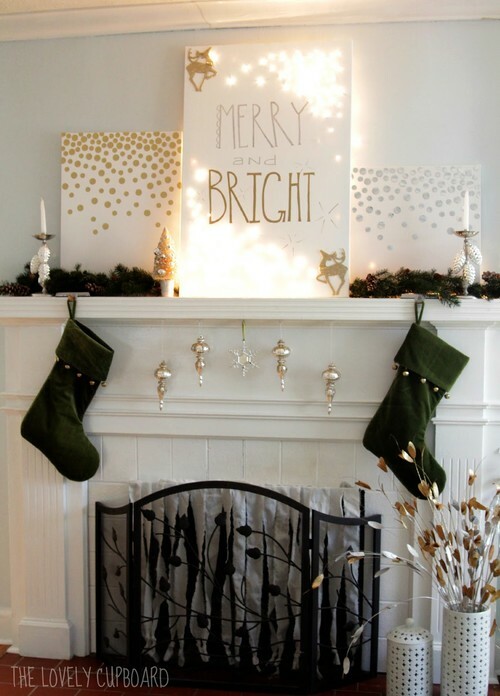 You can welcome guests, wish greetings with DIY Christmas Printables.